Today was the first day back to school. Well, not really a day since they were finished by 10am! There is some logic there somewhere. Anyway, I did manage to complete two small projects today. 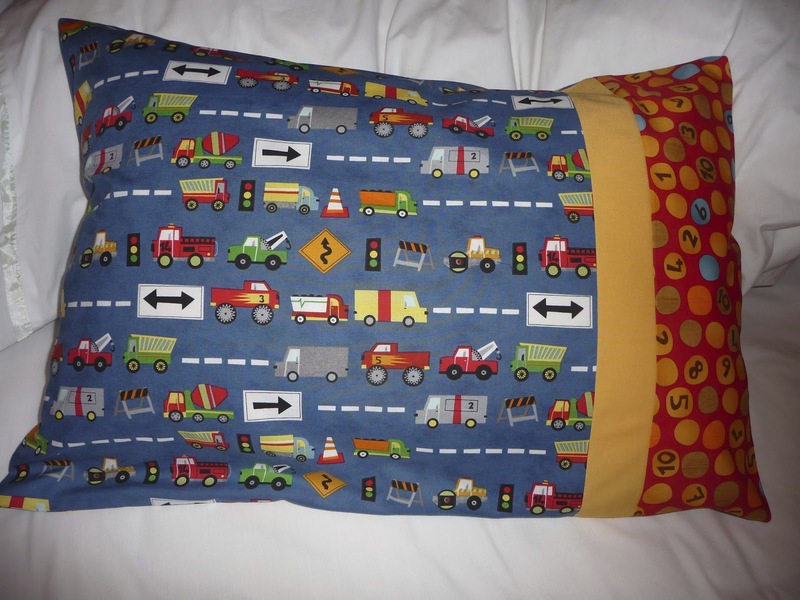 A pillowcase and a journal book cover. My first finish is a pillowcase. A friend of ours has just had a baby boy! Yay! In the early hours of the morning, after nearly 24 hours of labour, she gave birth to a healthy, 9lb 4oz, baby boy. Both are now home and doing well. I have never before sat by the phone willing it to ring with some news, now I know how my mum felt when I was having our children. Anyway, she already has a little boy who is heading towards 3 and is mad about cars. So when I saw the Moda Ten Little Things fabric range I just had to get some. 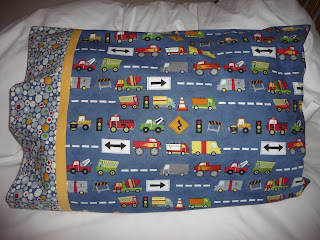 Here are my completed pillowcase! My second finish is a journal cover for my eldest daughter. 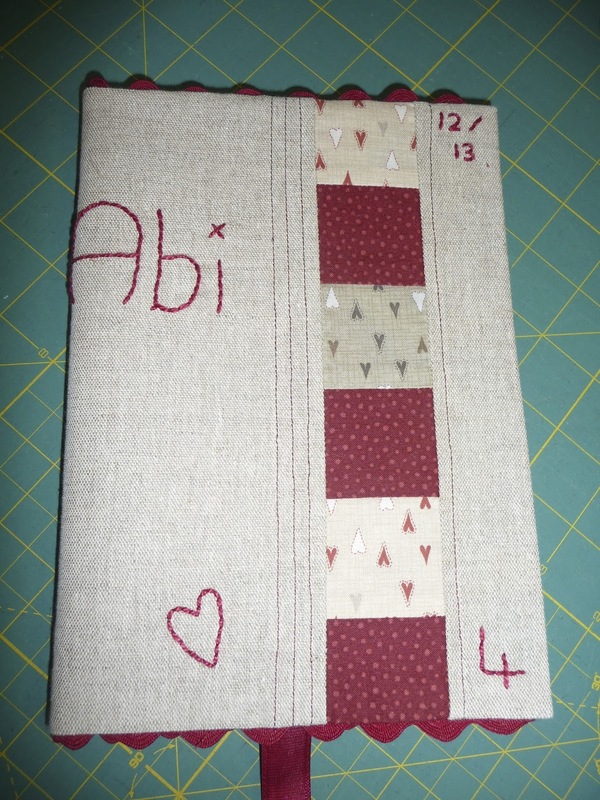 She is entering grade 4 and needed a homework journal so I made her a cover for the book I bought her. I used some linen and some Lynette Anderson fabrics. The tutorial I found here added ric arc along the top and bottom. Boy did I struggle to get this to work nicely, but it looks ok in the photo. I also had an issue with the width of my book and managed to start her name to far over so it doesn't sit nicely on the front. It is completed on time for school tomorrow but in a true school statement I 'could have done better'. I just hope she likes it, or I might be making another one! Or maybe I'll be making another one anyway. That's it for today. Happy creating. Love It! Pin It! Win It! - Sunkissed!